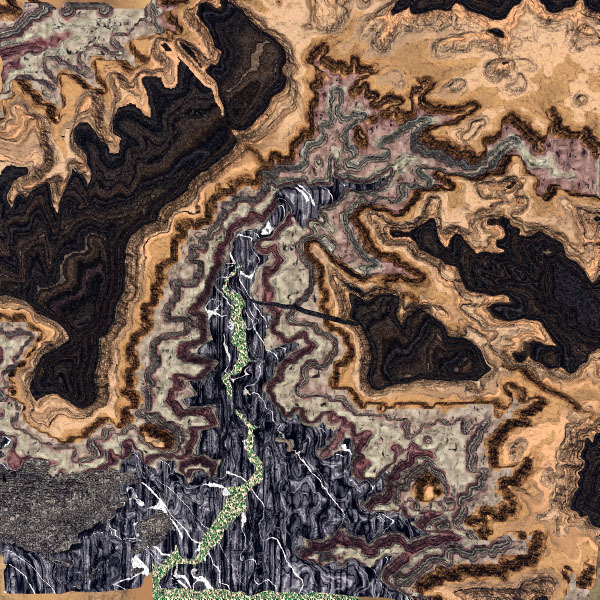 There are a number of different maps of Painted Canyon, including a topographic map (shows contours), a shaded relief map (shows the landscape as a 3D perspective with shadows), maps showing steepness of slopes, various combinations of the above, and aerial photographs. Click on the small images to see larger ones. 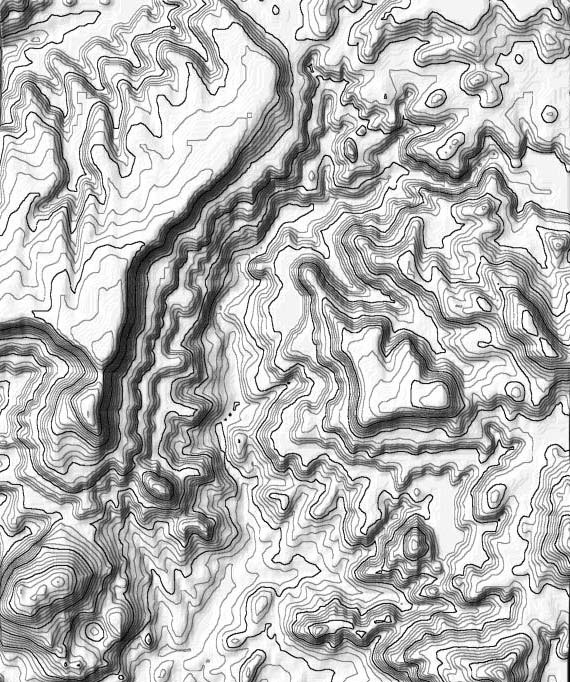 QuickTime VR Movie of contours draped over topography for Painted Canyon. 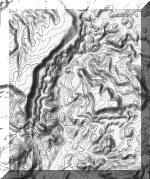 Click and drag sideways to spin and up-down to tilt the view. The movie file is large (10 Mb) so give it some time to load.